For the next several days, ground controllers will command the rover’s arm to carry out a series of steps to process the sample, ultimately delivering portions to the instruments inside. 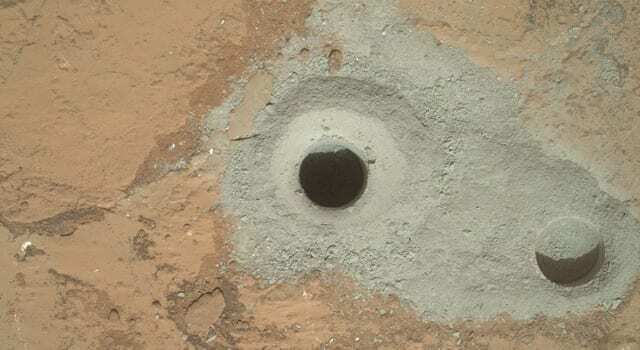 “We commanded the first full-depth drilling, and we believe we have collected sufficient material from the rock to meet our objectives of hardware cleaning and sample drop-off,” said Avi Okon, drill cognizant engineer at NASA’s Jet Propulsion Laboratory, Pasadena, Calif.
Rock powder generated during drilling travels up flutes on the bit. The bit assembly has chambers to hold the powder until it can be transferred to the sample-handling mechanisms of the rover’s Collection and Handling for In-Situ Martian Rock Analysis (CHIMRA) device.